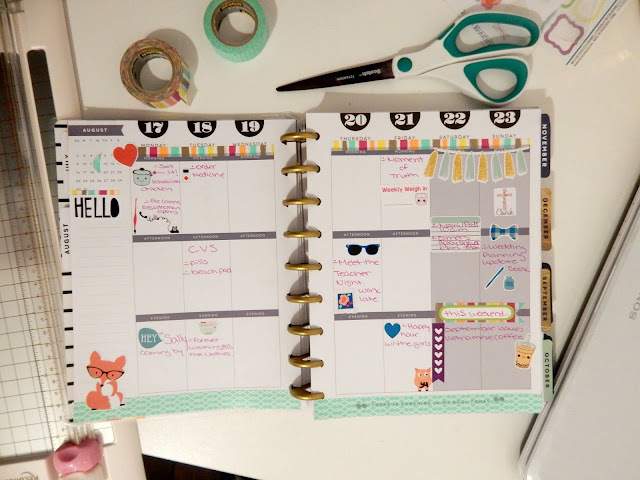 All the pen, hearts, hello, hey, sun glasses, and bow tie is from an adorable set from The Planner Junkie. My weekend banner and boba tea are from Little Surprise Shoppe. My weekly weigh in sticker is from Sweet Kawaii Design. Don't forget to show me your planning process with #planwithmascara. Happy planning!